How To Use Wi-Fi Calling On Apple Watch? Calling someone via Watch might have seemed impossible in the past but now, it feels like the easiest way to answer calls in case you don’t have your phone handy. However, sometimes the cellular network makes it hard to complete the call seamlessly, as the cellular reception might be weak, inconsistent or spotty. Well, did you know you could improve the call quality by using Wi-Fi Calling? It can actually help you to make phone calls via a Wi-Fi network automatically. So, if you have a poor cell reception at your house, you can switch to Wi-Fi calling on your iPhone. If you are ok with that, you can enable the same on your Apple Watch to make it more convenient or for times when you are too lazy to walk up to your phone and take a call. 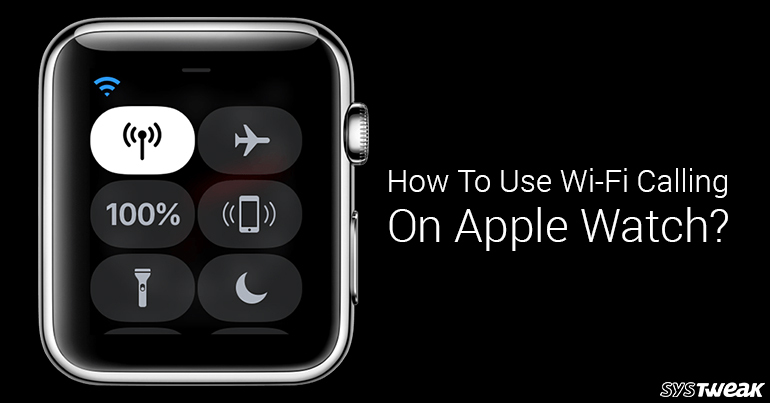 In this post, we will guide you through the steps to help you enable Wi-Fi Calling using Apple Watch. Locate settings on your iPhone’s home screen and tap on it. Once the Settings page is open, tap on Phone. Now, you will get the list of Settings Under Phone, look for Wi-Fi Calling. Tap on Wi-Fi Settings, and toggle the button to the right-hand side to turn it on. Once it is enabled, you can move to the next step. Note: In case, you already have Wi-Fi Calling enabled, you can skip the above steps. In this way, you can use Wi-Fi calling from Apple Watch. With this feature enabled, incoming calls and outgoing calls of your Apple Watch will use Wi-Fi instead of the cellular network, even if your iPhone is not near your Apple Watch, or the iPhone is turned off, given the condition, your Apple Watch is within the range of the same Wi-Fi Network to which the iPhone is connected. Well, this is not a biggie as iPhone shares Apple Watch information about Wi-Fi networks, which it has joined automatically.